99 5.3, stock PCM with HPT 2bar SD OS. 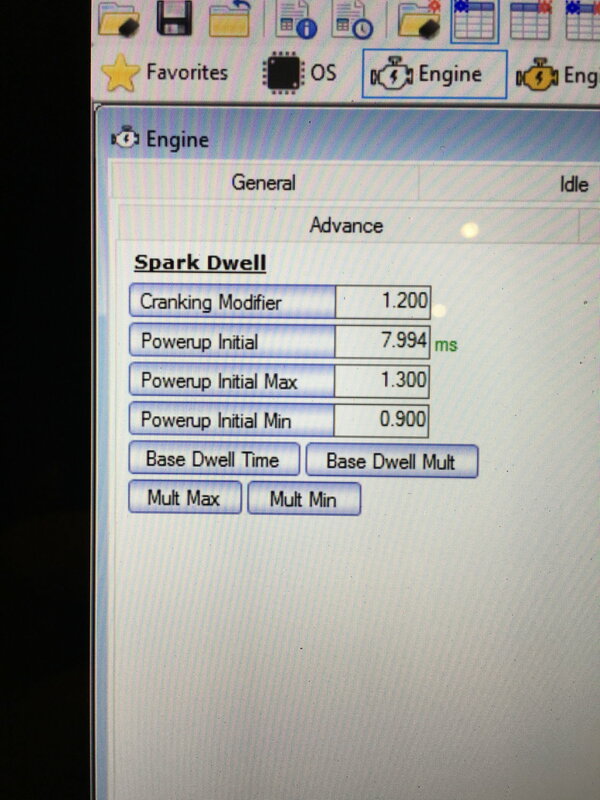 Motor is boosted and runs truck square D581 coils and I have stock dwell settings. Picked up some used truck D585 tuck coils and was wondering if anyone's stock tube file has the dwell settings that I can put in my tune? Here is the 581 settings. Can someone just snap a pic of theirs and post it so I can copy the info?<br/><br/>Also the other tabs of base dwell time, multiplyer, max and min. Thank you! I actually found a screen shot of the D585 coil tune part but when I checked the table it was the same as my 5.3 with the D581 square coils. Then I just checked yours and your table is actually has LOWER values that my stock table. I think I might just leave my stock table alone then. Supposidly the difference is more when compared to the stock LS1 type coils vs the trucks.